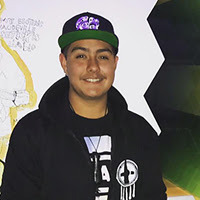 Cultural Survival is pleased to announce its newly formed Indigenous Youth Advisory Council. We believe it is transformative to listen and respond effectively to the dynamic stories, Indigenous knowledge systems, and human rights of Indigenous youth in order to coordinate and innovate for an intergenerational global community. We honor the experiences and expertise of Indigenous youth to lead. As part of the Indigenous Community Media Youth Fellowship, we are thrilled to collaborate with 17 brilliant youth from around the world. Agalisigia Elias Mackey, 15, is a member of the ᎠᏂᎧᏫ Deer Clan, residing in the capital of the Cherokee Nation, in Tahlequah, Oklahoma. He was raised in the ceremonies and traditions of the Cherokee and Kenwood communities. He is a founding member of the ᏌᎶᎵ ᎤᏅᏓᏢᎢ ᎦᏘᏲᎢ (Squirrel Ridge Ceremonial Ground), which advocates for language and cultural revitalization and delivers teachings and presentations to 25 Cherokee communities and is the winner of the 2016 Trail of Tears leadership award. In 2014, Agalisigia began the two year ᏣᎳᎩ ᎦᏬᏂᎯᏍᏗ ᎠᏂᏫᏒᏍᎩ Cherokee Language Master Apprentice Program as a volunteer apprentice. Agalisigia believes the heart of the Cherokee Nation is the people and has lived to serve them every day. 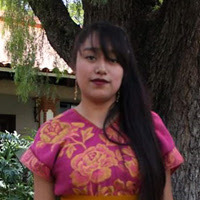 Fanny Merari Ventura Reyes, 18, is Lenca from Honduras and just finished high school. She is working for the liberation for Indigenous women in her community and education on Indigenous land titles in Honduras. She volunteers at community radio Lepaterique La Voz de Lenca to revitalize Lenca language and culture. Fanny also advocates for the rights of Indigenous Peoples by creating awareness about the decolonization of Honduran history, protection of lands and resources, restoration of Lenca culture, and national legislation policies impacting the Lenca people. Her dream is to create sustainable economic opportunities for Indigenous women to dream big and become successful. Andrés Zaqueo Ruiz Armas, 26, is Sapara from the Torimbo community of Pastaza, Ecuador. He holds a Bachelor in Science and is the vice president of Sapara Nation of Ecuador (NASE), formed to protect ancestral territory from petroleum extraction. He is part of a youth leadership school in his community. He is a true leader at heart, facing grave situations where his life has been at risk all for the protection of Sapara territory. His mission is to continue protecting and supporting the rights of Mother Earth because without her there is no life for humankind. 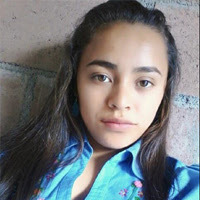 Dalia Lorena González Velázquez, 24, is Maya Kachiquel from Barrio Paraíso, Chiapas, Mexico. Dalia is working on completing a bachelor's degree in biology. She recently participated in a capacity building program for Indigenous youth in safeguarding and development of Indigenous cultures. In 2015, Dalia published two bilingual cartoon books on medical plants and traditional Kakichquel music. She is an advocate for Indigenous women rights, youth leadership, and protection of the Mother Earth. 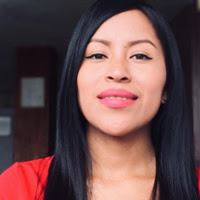 She has experience in the World Embassy of Mother Earth, Forum of Political Electoral Defenders for Indigenous Peoples, and in 2015 was selected as a candidate for the National Institute of Elections in Mexico. Francisco Antonio Jiménez Andrade, 30, is Wayuu from La Guajira, Colombia. In 2011, he was accepted to the University of Maracaibo to study law and political studies, however facing ongoing racism he withdrew and embarked on a new university career at Universidad Católica Cecilio Acosta, UNICA in communication and journalism where he has developed skills in radio production. In 2016, Francisco created the RAICES 360 project that supports the biodiversity of Indigenous cultures. By 2018, he accomplished one of his dreams by creating the Wayuu Integral Foundation (FIWA) which supports community projects that advocate for Indigenous rights and Wayuu culture. Mireya Ceila Gualinga Tapuy, 24, is from the Sarayaku Tribe in the Amazon of Ecuador. She works with local organizations in her community for the defense of the environment and protection from resource extraction. Her community recently won the historic Inter-American Court on Human Rights trial against the Ecuadorian government claiming land rights to prevent oil development. She is an activist fighting for the protection of her people and the welfare of the environment for the whole world. 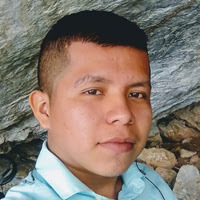 Eliber Gómez Abadia, 25, is Maya Tojol-ab´al from Chiapas, Mexico. 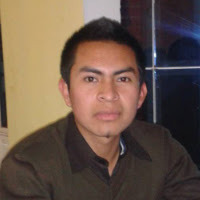 He is a student at the Intercultural University of Chiapas studying language and culture. 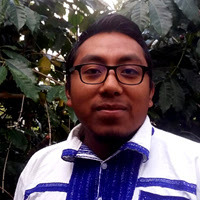 Eliber is a researcher for the IDEAS Ch’ieltik on the history of unions in Chiapas and is a member of the Youth Advisory Group (GAJ) of the United Nations Population Fund (UNFP-Mexico). He is an active participant in the Network Without Borders of Students for Ethnobiology and part of a research group with Jóvenes por la Esperanza de Nuestras Raíces. In 2017, he won a Rumbo Joven-Trajectoria Global scholarship from the Mexican Youth Institute (IMJUVE) and was granted a scholarship by the U.S. Embassy in Mexico. He has a deep interest Indigenous rights and the conservation of biocultural heritage, and in seeing Indigenous youth flourish into leaders and having their voices heard. Natalia Isabel Chasoy Janamejoy, 23, is Inga from an Aponte community in Nariño, Colombia. She graduated from the Industrial University of Santander with a degree in History and Tourism. In 2018, Natalia was appointed representative for a Dean of America gathering held at the National University of San Marcos in Peru. She is a community leader and encourages Inga children and youth to continue their studies, and holds a governance position with the Indigenous University Council, promoting Inga culture. Natalia also participates in community assemblies where decisions are made pertaining to Inga territory. 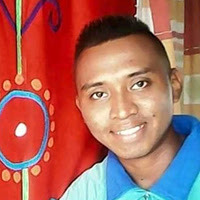 Dennis Caal Cucul, 20, is Q’eqchi’ from Alta Verpaz, Guatemala. Dennis is a youth advocate for Indigenous rights and to combat discrimination in his community. He aspires to learn more about community radio and land rights policies. Shanice Appels, 20, is Khoe from South Africa. She has been fighting for justice in reclaiming Khoe ancestral territory. In 2014, she founded the “Princess Project” which operates in impoverished communities in Cape Town and strives to empower young girls in becoming activist and leaders. Over the past few years, she has assisted in court cases of young girls and women who have been raped and murdered, to ensure justice is served. 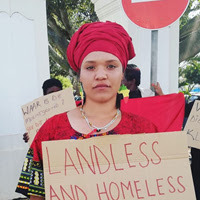 Shanice also works in rural areas on land occupation cases and supports farm workers in reclaiming their lands. She also advocates for the use of Indigenous languages in public schools to empower children and youth in honoring Khoe knowledge so that it lives on forever. José Daniel Bal Chex, 26, is Maya Kaqchikel from Comalapa, Chimaltenango, Guatemala. 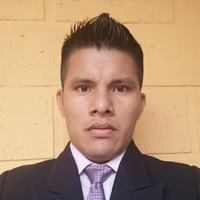 He is a volunteer at Radio Communitaria San Juan and is the coordinator of the Consejo de Promotores de los Derechos de los Pueblos Indígena (Promoters Council for Indigenous Peoples Rights). In addition, he volunteers at the Red de la Protección de la Niñez y Adolescencia (Children & Adolescent Protection Network), advocating for their rights and for consent education. Jose also coordinates youth engagement in Mayan spirituality in his community. 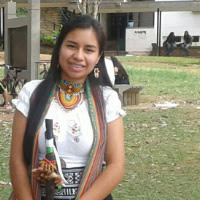 Erika Yuliana Giraldo Zamora, 24, is Embera Chami from Supía, Caldas, Colombia. At the age of 13, she was involved in the formation of community radio Emisora Ingruma Stereo and developed skills in radio broadcasting. 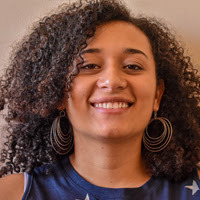 She is an anthropology student at the University of Antioquia, studying human rights justice issues and sexual reproductive rights. In 2014, she started the Floral Water Communication Collective of Nepono Bania that focuses on radio, photography, and video storytelling of the dynamics about land issues in her community. She is also the communications coordinator for the Indigenous Regional Council of Caldas (CRIDEC). Erika aspires to strengthen youth leadership, Indigenous women’s rights by producing Indigenous narratives on social media. Vilma Verónica Saloj Chiyal, 27, is Maya Kaqchikel from Solola, Guatemala. She is the director of Colegio Impacto de MAIA (formerly known as Estrella de Mar Escuela de Impacto) that promotes education for young Indigenous girls in Sololá. 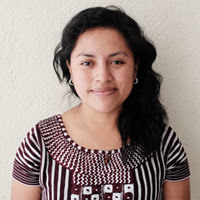 Vilma is the secretary of a water irrigation system committee in her village, the president of the Student Association of San Carlos University of Guatemala and treasurer of the Indigenous Youth Council of Guatemala. Vilma’s passion is education and she believes all people especially women have the right to access it. 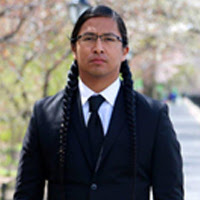 Wakinyan LaPointe, 29, is Sicangu Lakota Oyate and lives in Minnesota, United States. He is an advocate for Indigenous rights, and is passionate about his Lakota language and culture. Working alongside his tiwahe (family) and the global Indigenous movement, Wakinyan attends the UN Permanent Forum on Indigenous Issues each year. He is a convener of the Mni Ki Wakan: World Indigenous Peoples Decade of Water Summit. Currently, Wakinyan is starting an organization centered on Indigenous innovation with his brother. Erin Tail, 20, is a Lakota and Northern Cheyenne writer living on the Puyallup Tribal Reservation in Washington. She is currently a full-time student at Evergreen State College, majoring in Native Studies and Psychology. 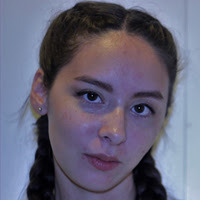 Erin makes her own poetry chapbooks and chooses to mostly focus on themes that both challenge and comfort readers regarding Native lives, missing and murdered Indigenous women, and dreamscapes. A lot of her spare time is filled with writing, drawing, attending traditional Lakota ceremonies, and reading books. She hopes in the future to start a collective of Native writers, and encourages young writers to keep writing. Thang Deih Tuang, 25, is Zomi from a small village in the northern part of Chin State in Myanmar. He is co-founder and executive director of Unok Development Institute (UDI) that works to strengthening democracy and community development. 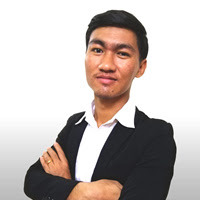 He earned a Bachelor of Science in Chemistry at Kale University an­d obtained his Diploma of Multi-media in Journalism at the Myanmar Journalism Institute. He has over two years of journalism experience in different media outlets and over three years of developing communication strategies and public outreach for international nonprofit organizations. Thang is passionate about community development, environmental conservation, protecting Indigenous rights and promoting Indigenous cultures. Olga Leticia Enríquez Velázquez, 30, is Cherán from Michoacán, Mexico. 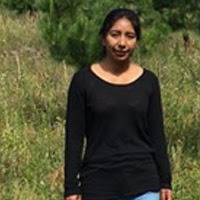 She is the first member in her family to pursue academics, graduating with a bachelor’s degree in biology and a master’s degree in science and forest management at the Michoacán University of San Nicolas Hidalgo. She hopes to inspire other Indigenous youth to continue their studies. In 2011, she participated in a community action for the conservation of forests demanding justice for deforestation and environmental destruction in the Cherán community. Her passion is the protection of forests and maintaining Cherán culture.